Area high school students are invited to enter a poetry contest sponsored by the English Department at Seward County Community College/Area Technical School. Total prizes to be awarded are valued at more than $300, and the contest is open to any student enrolled in a public or private high school in Kansas or a bordering state. 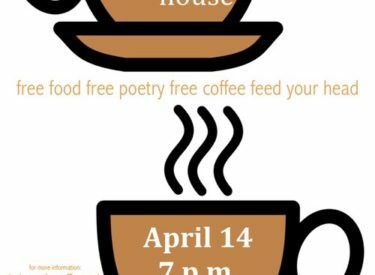 First, second, and third-place winners will be special guests at a Poetry Coffee House on April 14 at SCCC/ATS, where they will read their poems aloud. First place will receive a $100 scholarship to SCCC/ATS, $25 in cash, and other prizes. Second place will be awarded a $100 scholarship, $15 in cash, and other prizes. Third prize is $15 in cash, plus other prizes. “We are always looking for ways to appeal to students with different interests, so we hope to get a number of entries from high school writers,” said Janice Northerns, SCCC/ATS English instructor. High School students are welcome to attend the Coffee House even if they don’t enter the contest, she added. Students may enter up to three poems, and an official entry form must accompany each student’s submission. The postmark deadline to enter is April 6. The deadline for hand-delivered entries is 3 p.m. April 8. There is no entry fee.